Open up your Newark home in style with beautiful French doors, full of character and charm. These stunning patio doors are elegant and will help you to make the most of your home with their clean lines and exquisite finish. At Starglaze, we offer a combination of quality and value to our customers, so you will benefit from our brilliant quotes. Our French doors prices in Newark are cost effective, making your home improvements an affordable option. Get a free, no obligation quote using our online double glazing price calculator! We offer a wealth of options to our Newark customers, enabling you to find the perfect French doors to enhance your home. Our superb collection offers so much choice, with every option offering the most impressive levels of security and energy efficiency. Our incredible French doors will open up your home in style, and they are so versatile, you can use them in almost any area of your home. Whether you have a Juliet balcony, a terrace, garden or patio, our flexible French doors will create a stunning entrance and superb feature in your home. Our Deceuninck French doors are sleek and stylish with clean lines and a beautiful, high quality finish. These French doors are available with a number of finishes, allowing you to customise the look to suit your home and personal tastes. The Deceuninck profile is simply outstanding and will complement the architecture of any property in Newark. If you are looking for French doors which blend in with your traditional architecture, then the StyleLine option is the perfect choice for your Newark home. These precision engineered installations are the perfect combination of heritage looks with state of the art innovation. They offer a natural timber appearance which truly complements period properties, and they are outstanding for all round performance. The StyleLine range of double glazing is exquisite and every little detail is considered in its design, making it the perfect choice for luxury home improvements in Newark. Our collection of French doors is completed with our stunning aluminium option. The Smart Architectural Aluminium profile is slimline, offering the most impressive views and natural light influx. These patio doors are superb for all round performance with a thermally broken profile and an inherent, unrivalled strength. The beauty of our aluminium French doors is that they can be tailored in almost any colour you can think of, allowing for a truly bespoke look for your home improvements. Our impressive aluminium French doors are fast becoming one of the most popular options for Newark homeowners, offering a perfect blend of style, performance and long term double glazing. Whichever French door option you choose for your Newark home, you can count on the very best thermal performance and security, as well as durability from our installations. 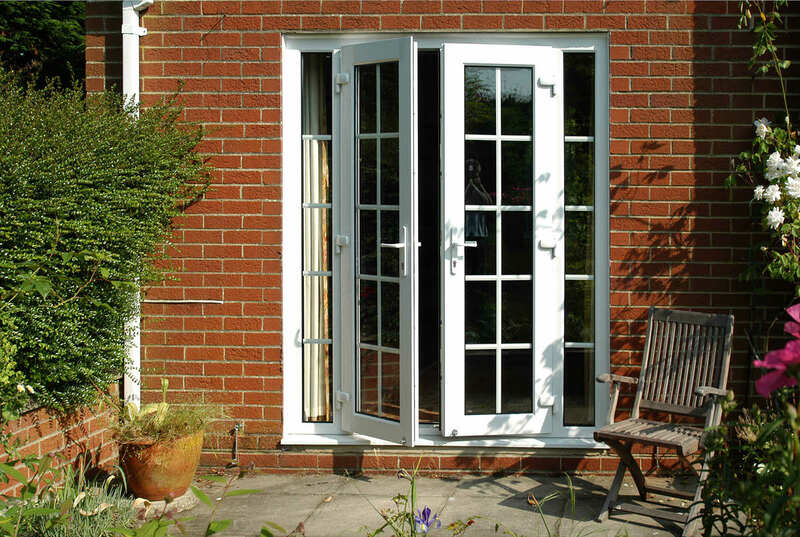 All of our French doors are designed to offer a superior, long term installation. These doors will never warp, rot or fade, and they are low maintenance too. They are specifically designed to ensure you will never need to undertake costly and time consuming upkeep, just give them the occasional clean for optimum operation and condition. Our French doors prices in Newark are superb, uniquely tailored to your choices and specifications. You will benefit from great value when you choose Starglaze for your home improvements. Visit our online quoting engine for a free, no obligation quote. Simply enter your preferred choices, and our clever system will provide and instant, personalised guide price. You can also contact us and our friendly team will be more than happy to help with expert advice and guidance on French doors for your Newark home improvements.